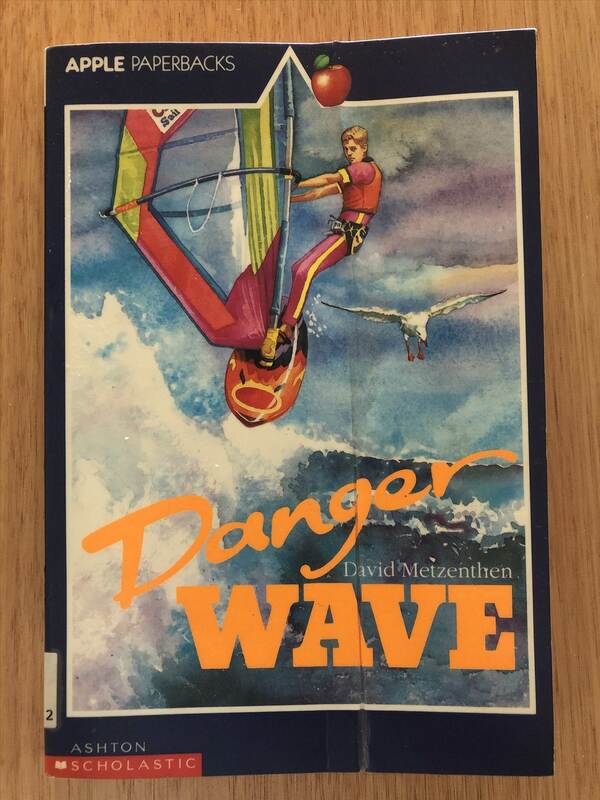 The world's first windsurfing novel . Hi mate good luck with the Novel! Unfortunately if you go to the GPS team challenge website and check out sboardcrazy's posts you will see that Sue has already written plenty of novels lol. Everytime I buy a new board / sail / piece of rope I have to come up with a novel's worth of fiction to tell the wife. Is "Nick" a cleverly disguised reference to the belle of Australian windsurfing Nicole Kidman? OkeeDookee. Thanks for that. No Worries, I'll add 'allegedly'. It was only ever meant as a jokey kind of claim - I couldn't find any books that I'd call an actual windsurfing 'novel' when I looked on Amazon ... plenty of Surfing novels (e.g. Kem Nunn, credited with inventing the surf-noir genre etc) ... and plenty of technique, travel books feature windsurfing of course. Cheers @azymuth ... if you're ever visiting get in touch. P.S. I'm having a book launch here (El Medano, Tenerife) in March ... if anyone else is visiting Tenerife, please get in touch for an invite. LOL. Yep, I know what you mean Luckily my wife is also a windsurfer (we started together, back in 1986 in Vasseliki, Greece, and we still sail together :-) So, no arguements about buying kit. Mine are more like short stories..
DL and subbed, good luck with it. That was a joke also. She does not write novels but her posts are very long! I've had this book since the early nineties. Congrats on your book mate.... hope it sells great. Aha ... yes, interesting ... I'll check out 'Danger Wave' - looks like being the first. Anyway, as I said, it's not exactly a crowded market. 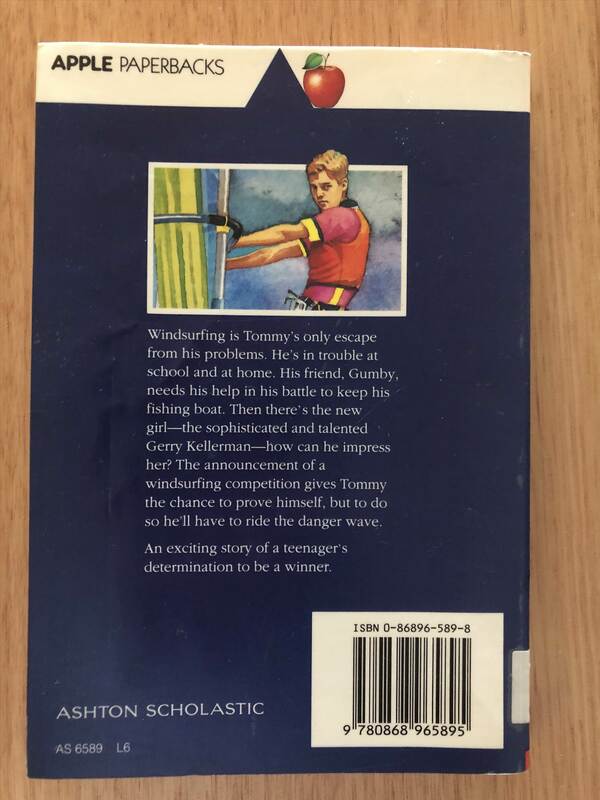 Interestingly the blurb: "Windsurfing is Tommy's only escape from his problems ..." sounds quite similar to mine: "Windsurfing is his obsession, his escape from self-loathing ..."
Thanks for your encouragement, Paul. Nick has always been an outsider. Half Aboriginal, half Irish, he escaped from an impoverished fishing town in Western Australia. Now he's running from a drug deal gone wrong, living like a ghost in the Canary Islands and his only friends are the wind and waves. 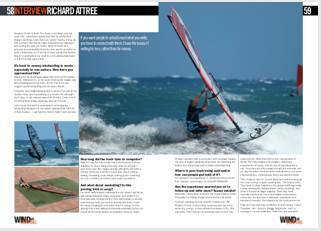 Windsurfing is his obsession, his escape from self-loathing. But when his rig falls apart, like his life, he finds himself drifting alone in the Atlantic. As the sun rises on his last day alive, a yacht appears and offers him a lifeline. But there's a price to pay . The owner, an enigmatic figure known to his crew as the Master, is the leader of a shadowy cult. He offers Nick a way out of his stalled life-a series of missions: to the haunted Haitian rainforest, the remote Australian outback, and the wild west coast of Ireland. The puppet master pulls the strings-Nick's quest is to discover why. TOO CLOSE TO THE WIND is an incredible story of survival, an epic travel adventure, a dark journey into the unknown, and a celebration of wind, surf, and the human spirit. Gotta admit reading danger wave when I was 13 or 14 got the juices flowing. I guess it was a good part of the reason I got into the sport. 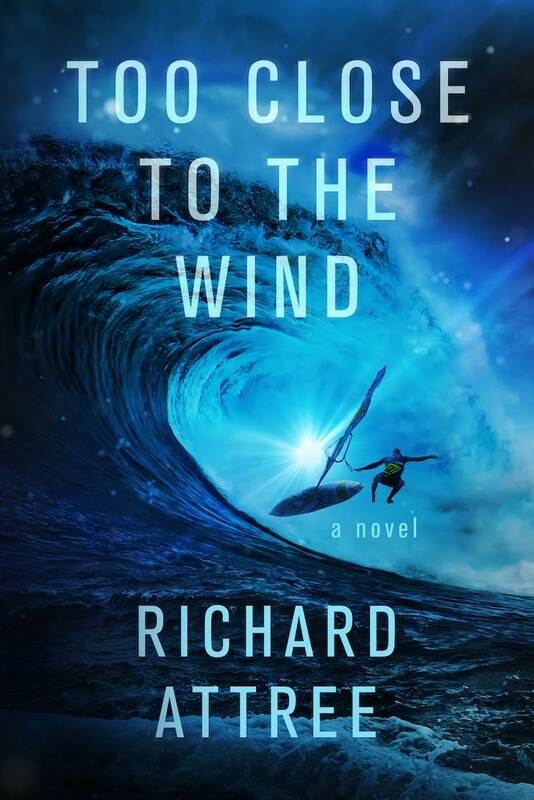 I'm pleased to announce that 'TOO CLOSE TO THE WIND' - the only windsurfing novel to be published this century - has now been released. If you read the (free) Prequel Story you'll have met Nick (my surfaholic narrator) and followed his story to the day the novel begins-the day he should have drowned. Now you can discover what happens next . Cheers Guys. Hope you enjoy the book. I'm particularly interested in your feedback as roughly half the book takes place in Australia. I hope you don't think it impertinent / out of order for a Pom to write about your own backyard ... It's a measure of the impact the place had on me, really. And it would be much appreciated if you could post a review on Amazon and 'share the stoke' as Nick (my narrator) would say. 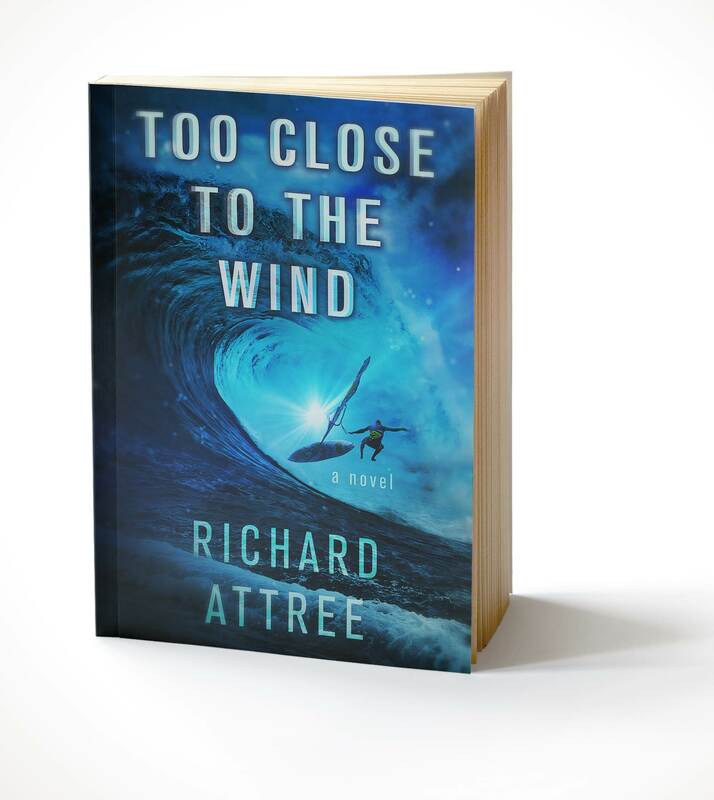 Something a bit different ... My novel: 'TOO CLOSE TO THE WIND' (the world's first windsurfing novel) will be published in February. I've just released a FREE PREQUEL STORY to whet readers' appetites and this is my invitation to download it. I have read the prequel and will read the book when it comes out. I think you have the Aussie stuff down pat for this type of book. 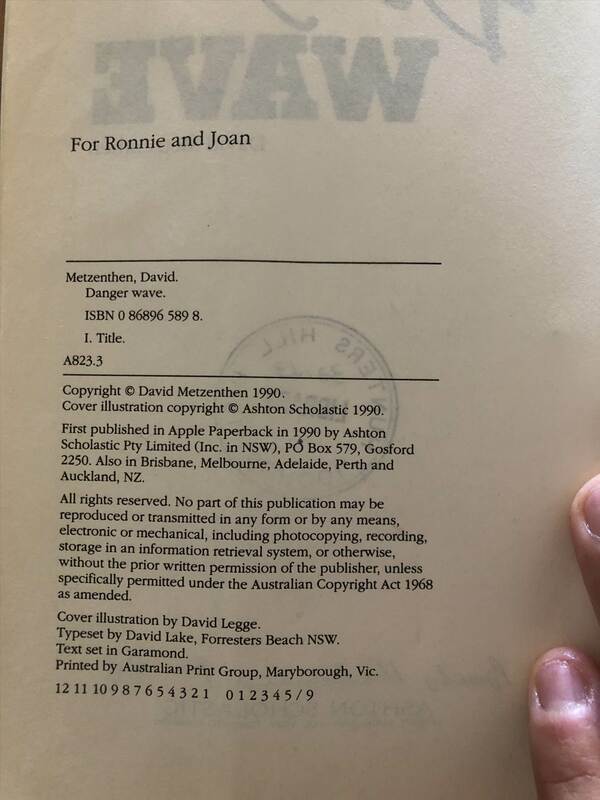 It's perhaps not at the Tim Winton level, but it's not in that genre. 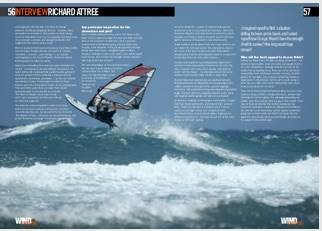 Definitely the book is steeped in the windsurfing sport and culture (albeit wave sailing in particular). You write in a fluid easy to read style, but I can also see you take character development seriously. So good luck with it, and keep us updated. I hope you enjoy it. 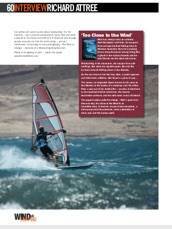 The reviews, feedback and support I'm getting from the windsurfing community makes it all worthwhile. It may be a relatively niche tribe but wow are we passionate about our sport ... and that's what motivated me to write about it. P.S. Tim Winton is one of my all-time favourite authors (especially 'Cloudstreet', 'The Shepherd's Hut', and 'Breath'). 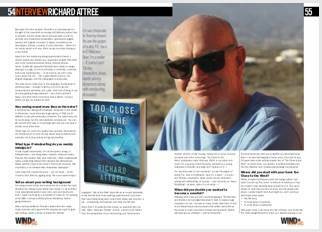 I'm doing a radio interview about 'Too Close to the Wind' - the world's first windsurfing novel - this Thursday (11//04) at around 13:30 (UK time). You can listen to a live stream on www.radiosuradeje.com (click the play button at the bottom of the page) ... and I'll put a link to the recorded podcast after the interview.